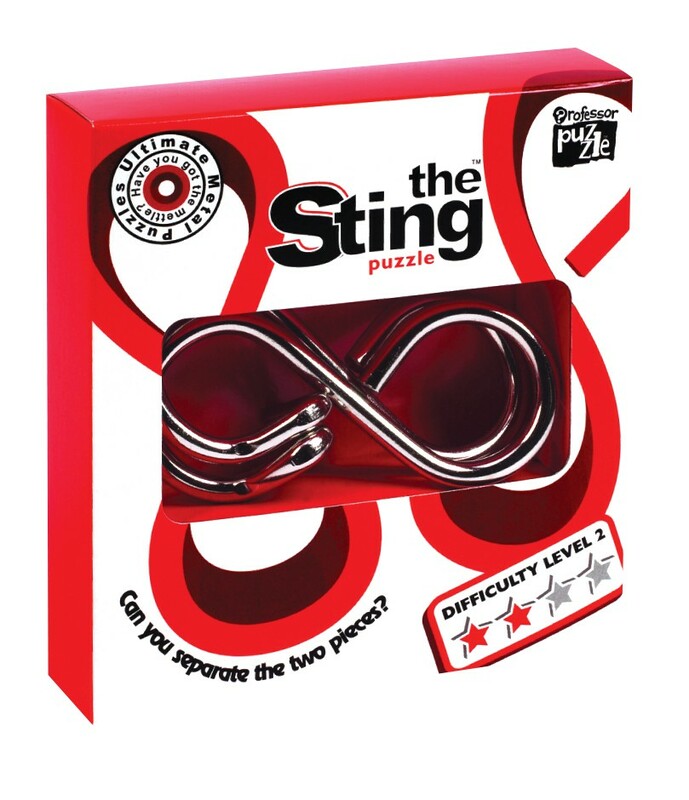 The Sting is a strange little puzzle. Only one movement is required to separate the pieces. Some people discover the secret more quickly than others do, but the real challenge is getting to grips with the intricacies of these two identical shapes. The puzzle has a trap door leading to a dead end, and can be put back together in two different ways. If you put the pieces back together the opposite way around, a totally new solution is required to separate the pieces. We often hear people whisper ‘Ahh – I get it…’ when it turns out they really don’t get it at all. 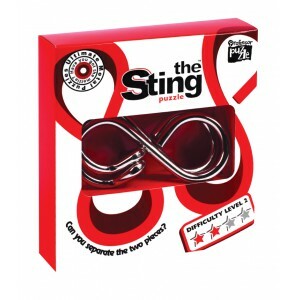 Definitely a puzzle with a sting in its tail.